It’s no easy trick running a small independent cinema these days, but the tiny Grand Illusion Cinema in the University District has been around a long time — since 1968, converted from a dentist’s office. 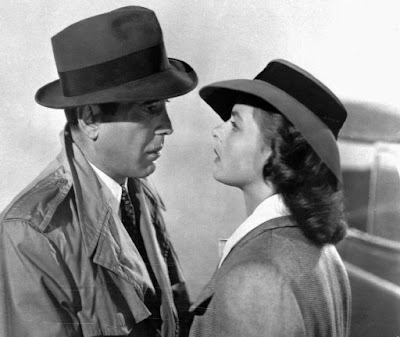 The theater, which is a nonprofit run by volunteers, had a few financial problems recently, and has come up with a fundraiser that sounds like a thoroughly good time: two screenings of “Casablanca,” in 35mm, on Saturday, September 25. Each screening (at 6:30 and 9:30) will be preceded by hors d’oeuvres, drinks and music at the G.I.’s version of Rick’s Cafe, a raffle and a silent auction (with some very nice prizes, including the Criterion DVD set “Essential Art House: 50 Years of Janus Films” — which includes 50 movies). Tickets are $25, which includes two drink tickets, and doors will open one hour before each screening. You can buy tickets in advance — and there’s only a few; the G.I. has just 70 seats — at the theater box office at 1403 N.E. 50th St., or online here. Should be a lovely evening! (AP Photo) Here’s looking at you, kid.